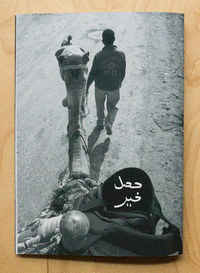 Jasal Kheir – Cairo Detoured (also Hasal Kheir arab. for Goodness has Happened) is a zine produced by Patrick Rieve in Cairo, Egypt, Dec 2014. Format A5, 36 pages, b/w. With contributions by Jaqueline George and Mohamed Wahba. This page was last modified on 15 March 2015, at 06:41.